. 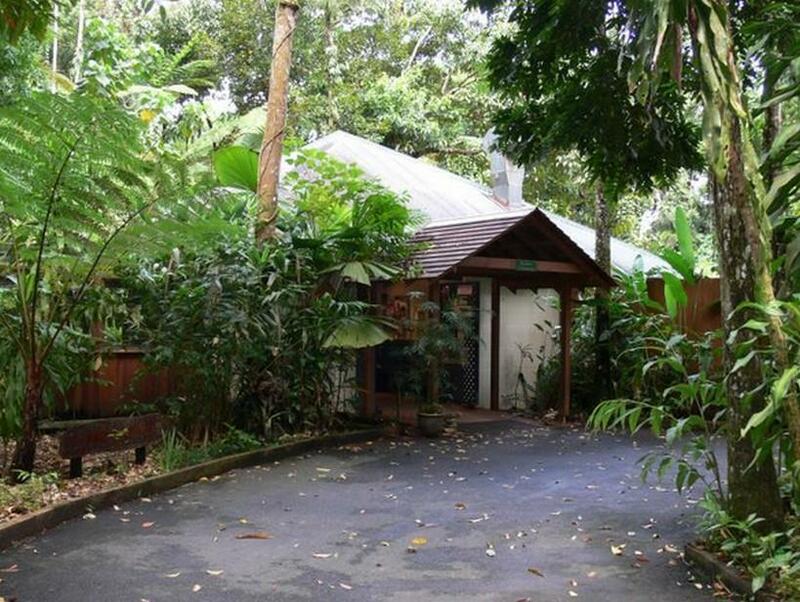 كما يقدم Heritage Lodge & Spa in the Daintree الكثير من الخدمات لإغناء رحلتك في داينتري. يمكن الاستمتاع بمجموعة من الخدمات على أعلى المستويات في الفندق كمثل تخزين الأمتعة, واي فاي في المناطق العامة, صف السيارات, غرفة عائلية, مرافق للشواء. 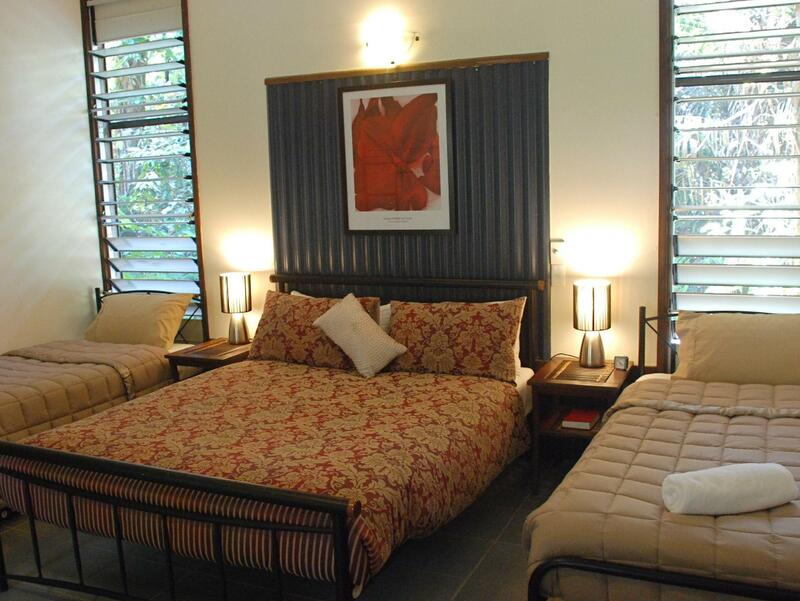 تنعكس أجواء Heritage Lodge & Spa in the Daintree في غرف الضيوف.تلفزيون بشاشة مسطحة, مكيف هواء, مكتب, شرفة/ تراس, ساعة منبه هي بعض الميزات الموجود في العديد من الغرف. صممت خدمات الاستجمام في الفندق والتي تتضمن حمام سباحة خارجي, سبا, تدليك, حديقة لمساعدتك على الاسترخاء والراحة. 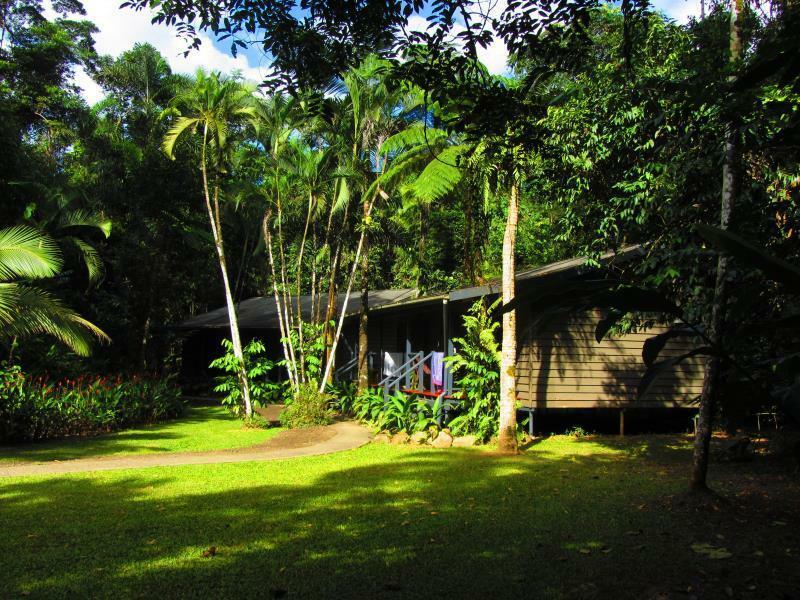 استمتع بخدمات لا يعلى عليها وعنوان ذو اعتبار في Heritage Lodge & Spa in the Daintree . This is an amazing location - surrounded by rainforest. It is a smaller private facility and has everything you need. The huts are older but very well maintained. Gardens are amazing. Get used to everything in the room feeling damp - it is a rainforest! Beautiful stream which we didn’t get a chance to swim in but would be glorious if the the weather were better. Breakfast is included, but is a pretty basic continental style. Definitely enough. The coffee machine was broken when we were there - pity for us urban folk, but the stand-in drip coffee was ok. Staff were very helpful, and dinner was good. Recommended. 0 Stars Stay away. This is the worst stay i have experienced. Morning service was great. but dinner was rubbish rude service served with an off chicken breast. Which on complaining our waitress caused a scene in public. Bit embarrassing. The bedding was the hardest most uncomfortable mattress ever laid on. Over priced for what it is. Do your self a favor and stay away. Very nice creek on the property to swim in. Safe from predators too. Lovely staff. Comfy room, we had fun and appreciated the free breakfast.